Earlier today, CBS announced the 2014-15 renewals of their daytime programming — Let’s Make a Deal, The Price is Right, The Young and the Restless, The Bold and the Beautiful, and The Talk. CBS, the top-rated network in daytime with audience growth across the daypart, has renewed its entire daytime schedule for the 2014-2015 season. Set to return next season are LET’S MAKE A DEAL, which is growing double-digit percentages in key demos; THE PRICE IS RIGHT, daytime television’s most-watched program; THE YOUNG AND THE RESTLESS, the #1 daytime drama for 25 consecutive years, which received a multi-year pickup through the 2017 season; THE BOLD AND THE BEAUTIFUL, the most-watched dramatic serial in the world; and THE TALK, which recently delivered its best-ever fourth quarter in viewers and women 25-54. LET’S MAKE A DEAL, with host Wayne Brady, will return for season six. LET’S MAKE A DEAL 1 is averaging 2.97 million viewers, up +19%; up 13% with in women 25-54 with 0.9/06; and up 17% in women 18-49 with 0.7/05. LET’S MAKE A DEAL 2 is averaging 3.44 million viewers, up +18%; up 11% with women 25-54 with 1.0/07; and up 14% with women 18-49, scoring 0.8/05. THE PRICE IS RIGHT, daytime television’s most-watched program, hosted by Drew Carey, is up 14%, with an average of 4.87 million viewers (PRICE IS RIGHT 1); up 8% in women 25-54, with 1.3/08; and up 13% in women 18-49, with 0.9/06. PRICE IS RIGHT 2 is up 10% with an average of 5.68 million viewers; up 7% in women 25-54, with 1.5/09; and scoring 1.0/06 in women 18-49, even with a year ago. THE YOUNG AND THE RESTLESS, which has been the #1 daytime drama for 25 consecutive years, is averaging 5.17 million viewers, up +9%, and averaging 2.1/13 in women 25-54 and 1.4/09 in women 18-49, both matching a year ago. This season, THE TALK is averaging 2.77 million viewers, up +19% from last year; 1.1/06 in women 25-54, up +10%; and is even in women 18-49 (0.7/04). 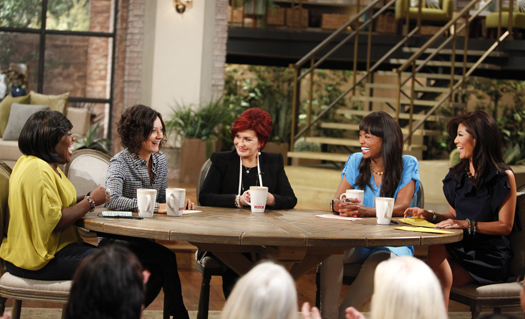 In 2012 and 2013, THE TALK was nominated for a Daytime Emmy Award for Outstanding Talk Show. LET’S MAKE A DEAL is hosted by Wayne Brady. Produced by FremantleMedia North America, LET’S MAKE A DEAL is broadcast weekdays (check local listings) on the CBS Television Network. Mike Richards, Dan Funk and Jennifer Mullin are executive producers. THE YOUNG AND THE RESTLESS has been the #1-rated daytime drama for 25 years. The show is broadcast weekdays (12:30-1:30 PM, ET; 11:00 AM-12:00 Noon, PT) on the CBS Television Network and is produced by Bell Dramatic Serial Company, in association with Sony Pictures Television. THE BOLD AND THE BEAUTIFUL is a Bell-Phillip Television production, broadcast weekdays (1:30 PM-2:00 PM, ET; 12:30-1:00 PM, PT) on the CBS Television Network. THE TALK, broadcast weekdays (2:00 PM, ET/1:00 PM, PT/CT), features a panel of well-known news and entertainment personalities who examine current events, pop culture, contemporary issues, family, celebrity and the trending topics of the day. The daily one-hour series is co-hosted by Julie Chen, Sara Gilbert, Sharon Osbourne, Aisha Tyler and Sheryl Underwood. The show was developed by Gilbert, who also serves as executive producer along with executive producer John Redmann. CBS Daytime is up +14% in viewers, +8% in women 25-54 and +11% in women 18-49 compared to last season. What do you think? Do you watch any of these daytime shows on CBS? When will The Price is Right ever going to end? Bob Barker is still the best and Drew Carey is continues to be at his worst. Tran, please stop spamming this page. You want Price Is Right to end. We get it. The Price is Right would’ve ended after Bob Barker’s retirement back in 2007. They should have not move on to find a new host to fill in Barker’s shoes and if they did not pick Drew Carey for a job, the execs at CBS Daytime may have second thoughts about ending Price is Right and not to move forward with or without Bob Barker depending on ratings. If there’s a conspiracy against The Price is Right and CBS Daytime then try not to make more excuses out of me because it really hurts my feelings. I watch Y&R and B&B both, have since 1992. I don’t watch any of those shows.